Commercial Display Merchandisers for convenience store; supermarket/ specialty store, bakery/ pastry; specialty fish; multy-desk wall cases, glass door wall cases, hoot foods, shelving. Multi Desk Chiller. Open Produce or Dairy Merchandisers. Characterized by a high loading capacity and by an ample display area, GRAZ is produced in modules with various lengths, that can be joined such a way as to satisfy various layout requirements. Fitted with height-adjustable shelves. stands out for its ample display surface, enhanced by the large panoramic front glass. The elegant design of this cabinet for frozen foods, particularly suited for promotional sales, favors its installation in all sales outlets. With its elegant design, IBIZA is ideal for hors d'oeuvres, wines, soft drinks, dairy products, gastronomic specialties and desserts. 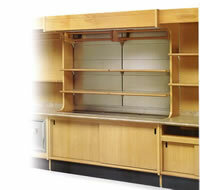 Fitted with stainless steel working shelf and removable trolley, it is also available with wooden finishing. Multi Desk Chiller. Open Produce or Dairy Merchandisers. 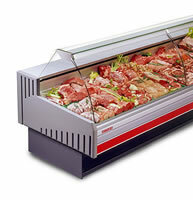 Ideal for specialized shops and small supermarkets, ODESSA is suited for displaying freh meats and salami, dairy products, fruit and vegetables. Its rational design, that combines reduced overall dimensions with a large display and loading capacity, arises from the need to make full use of available space. Are Designed for a wide variety of applications. In addition, the lift up front glass aids in cleaning and display arrangement. Suited for the sale of meat, cold meats and salami, dairy products and gastronomic specialties, CHICAGO 2 blends high performance with a design that offers the highest visibility to the goods on sale. It is easy to load and to clean, thanks to the possibility of lifting-up the wide thermopane front glass. Destined for traditional shops and superettes, KYOTO is ideal for the sale of cold-meats and salami, dairy products and gastronomic products. Its aesthetically refined design makes it possible to fully enhance the display of the products on sale. 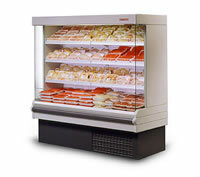 LIEGI 2 is a refrigerated showcase created for the sale of confectionery products. Combination Dry and Gravity Bakery / Pastry Merchandiser. NEWPORT is a refrigerated showcase for the sale of fresh fish, built entirely in stainless steel. The conservation of the fish is provided by ice chips or flakes inside the basin. The cabinet is also fitted with an evaporator coil if connection to a refrigerating system is desired. 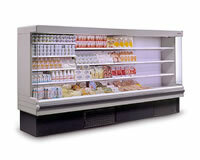 MADRID is an island for frozen foods and ice creams particularly suited for large and medium sales surfaces. The strength and functionality of the structure determine the success of this island, available in different versions: MADRID, SUPER MADRID and SUPER MADRID MAXI. Multi Desk Chiller. 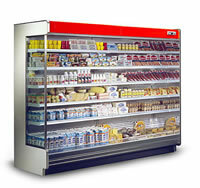 Open Produce or Dairy Merchandisers Characterized by a high loading capacity and by an ample display area, GRAZ is produced in modules with various lengths, that can be joined such a way as to satisfy various layout requirements. 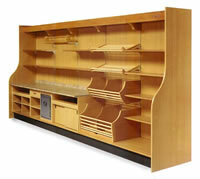 Fitted with height-adjustable shelves. 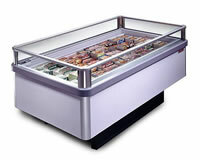 Refrigerated island characterized by an ample display surface, enhanced by the panoramic side glasses. Available in two versions: low temperature (for ice creams and frozen foods) and normal temperature (for meat, cold meats and salami, dairy products). With its particular design, wide panoramic end walls and special lighting, MERIDA has been designed to give maximum visibility to the products displayed. Ideal for the conservation and sale of fresh meats and salami, dairy products and meat, it is an island particularly suited for promotional sales. Suited for the sale of meat, cold meats and salami, dairy products and gastronomic specialties, CHICAGO blends high performance with a design that offers the highest visibility to the goods on sale. It is easy to load and to clean, thanks to the possibility of lifting-up the wide thermopane front glass. DRESDA is suited for the sale of fresh meats and salami, dairy products and gastronomical specialties and lends itself extremely well to sales promotions. Designed to give the highest result to the products displayed, it has an elegant appearance that, in a supermarket, recreates the welcoming and customized atmosphere of a specialized shop. Designed for presenting and selling meat, cold meats and salami, dairy products and gastronomic specialties, DURBAN has a good display surface and is ideal for positioning in superettes and specialized stores. Meat, Poultry and Fish: Elios. Versatility is the characteristic that distinguishes the MANILA line, available in a variety of models, designed for the conservation and sale of fresh meats and salami, dairy products, meat, fruit and vegetables. Available in different heights, different basin depths, with 45° and 90° open and closed cornes and with panoramic and solid head-cases. MALMOE 2 is an island with double display basins, for the conservation of ice creams and frozen foods. 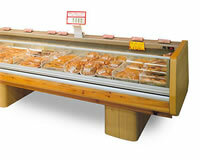 Its large display and loading area make it ideal for big selling surfaces. It can be programmed for operation at different temperatures in the two basins. 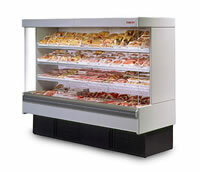 Available in the version with normal temperature (for meat and chicken) and low temperature (for frozen foods and ice creams), ANKARA has a wide display surface and a considerable load capacity: ideal for medium and large sales areas. LIMA offers the excellent presentation of goods even in small-sized sales outlets. Available in the version with normal temperature (for meat and chicken) and in the low temperature version (for ice creams and frozen foods). Designed to allow an excellent display of the products on sale, BREMA is characterized by large glass doors and by an innovative design of the doors and panoramic end walls. The result is an avant-garde aesthetic impact. With its considerable load capacity and with the high visibility given to the products displayed, BILBAO is the ideal solution for the conservation and sale of frozen foods. Rich-in Glass Doors Coolers and Freezers. Brema. Multi Desk Chiller. Open Produce or Dairy Merchandisers. Versatility is the characteristic that distinguishes the MANILA line, available in a variety of models, designed for the conservation and sale of fresh meats and salami, dairy products, meat, fruit and vegetables. Available in different heights, different basin depths, with 45° and 90° open and closed cornes and with panoramic and solid head-cases. York Top Shelf Merchandiser/Global Merchandiser. Refrigerated Back Bar Air screen wall case for merchandising of dairy, cheese, deli, salads, pre-packaged, and prepared foods. Curved Glass Front, Base Model. York Low Height Glass Merchandiser with Wood Pedestals. Pizza, sandwich and spot display case. Self-Service. Pizza, sandwich and spot display case with Curved Glass Storage. Pizza, sandwich and spot display case. 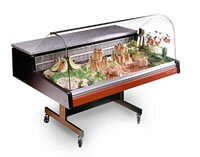 Deli and Prepared Food Merchandisers.||Meat Display Cases.|| Seafood and Poultry Display Cases. || Bakery Display Cases. || Hot Food Cases. || Pizza, Sandwich and Spot. || Promotional Counters. || Upright. || Frozen Food. || Glass Door Merchandisers. || Walk-in Coolers. || C-store.